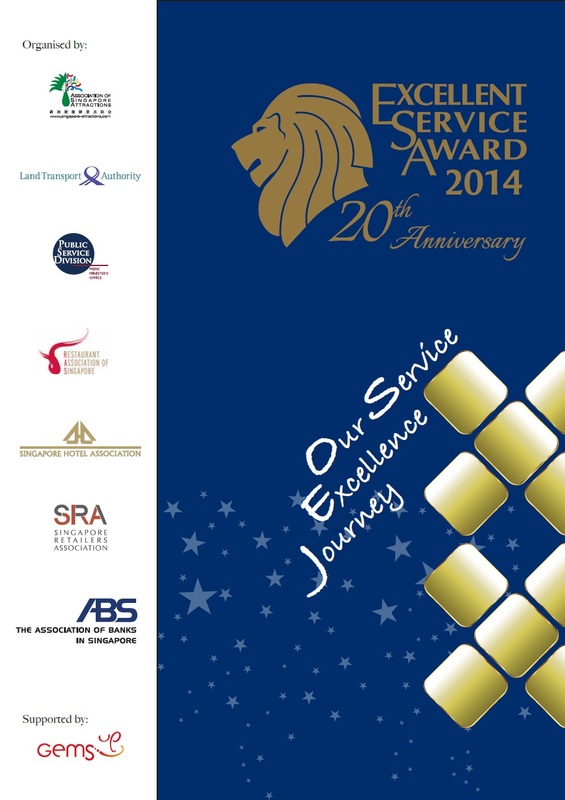 In conjunction with the 20th anniversary of the Excellent Service Award (EXSA), a commemorative e-Book was jointly published by the 7 lead bodies managing EXSA with support from the GEMS UP movement. The 7 lead bodies managing EXSA are; Association of Singapore Attractions (ASA), Land Transport Authority (LTA), Public Service Division (PSD), Restaurant Association of Singapore (RAS), Singapore Hotel Association (SHA), Singapore Retailers Association (SRA) and The Association of Banks in Singapore (ABS). Titled "Our Service Excellence Journey", the commemorative e-Book highlights the EXSA programme's milestones and profiles of past award winners and was launched at the EXSA 20th Anniversary Commemorative Event by Guest-of-Honour, Mr Lim Swee Say, Minister, Prime Minister's Office. The event which was held at Stamford Ballroom, Raffles City Convention Centre was well attended by close to 300 award recipients and guests.